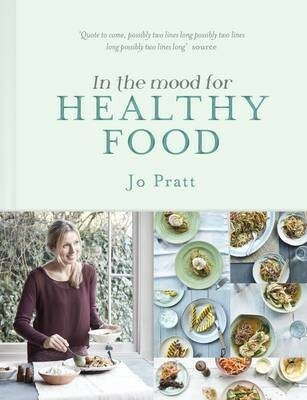 Full of mouth-watering yet simple dishes, Jo Pratt has created a stunning collection of nutritious recipes for anyone looking to eat well. Start the day with Ginger Berry Muffins or Raspberry Yogurt Pots, enjoy a light meal of Poached Chicken Broth with Spring Greens or a more substantial Beetroot Gnocchi with Walnut & Watercress Pesto then treat yourself to a guilt-free Dairy-Free Vanilla & Blueberry Cheesecake or Chocolate Pumpkin Brownies. Brilliant ingredients are given centre stage in this book, with features on nuts, sprouting beans & seeds, quinoa, kale and chia seeds, exploring why they are so good, where to find them, and how to use them. With fresh, inspiring photography and design, this is the perfect companion for the everyday cook who wants to eat and live deliciously well.